GO TO OUR GALLERY TO SEE MORE ROD PICTURES! Warranty: If for any reason you need us to repair a Custom Rod, please ship it to us and include $25.00 for postage & handling. We will repair and ship it back to you, no questions asked. Abuse and shutting in the car door or similar damage is now covered with the $25.00. RDP rods are an IM6 Translucent Golden Brown blank. The snake eyes are stainless steel and the finish can be chrome, gold or black. I use a Densiwood Walnut or Rosewood insert with either chrome, gold or black reel seat. 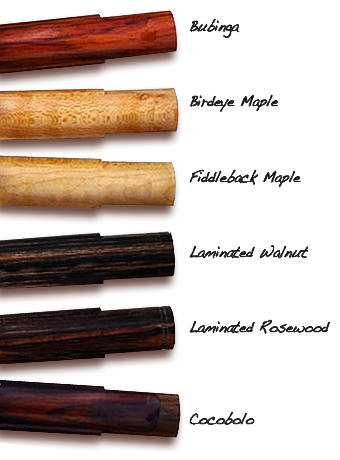 I do have several types of woods available with an extra charge. The Densiwood is a resin impregnated wood that provides exceptional resistance to temperature and moisture. The all wood inserts can crack and expand after being wet. These will not!!! 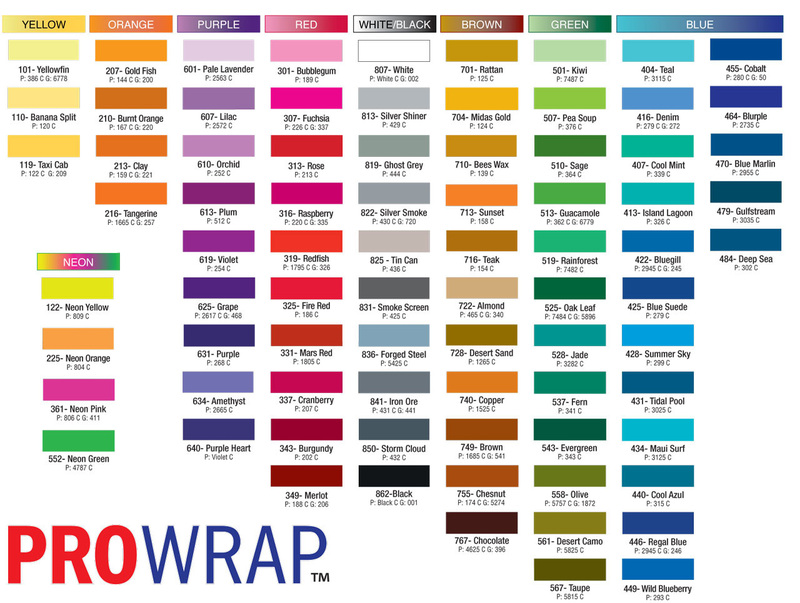 I’ve got a huge number of thread colors available for the wraps! Take a look at the Prowrap theads and dream something up. I personalize each rod with your name or what ever you want on the rod within reason. 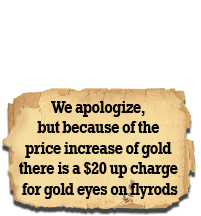 Most custom rod builders charge you extra. I don’t!! Please keep in mind that if you want something different than what I’ve listed just below email me and I’ll try and help you!! I also use other makers blanks. I purchase the blanks or you can buy the blanks and send it to me and I will build you a rod for $100.00 over the cost of the blank. There is a $30.00 up charge for Silver Nickel reel seats. $7.00 shipping to lower 48 states. No tax charged. Shipping to Canada is $20.00. Everywhere else in the world is $25.00. For all other parts order add $7.00 shipping fee. I do have other wood reel seat inserts available for an extra cost. Email me for a quote.